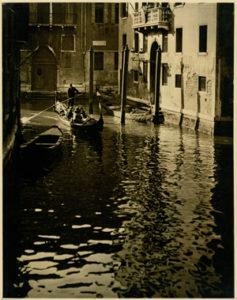 We recently scanned in Larry’s priceless family collection of photos taken by Dr. Drah omir Joseph Ruzicka (1870-1960) who was known for his work in amateur photography and being co-founder of the Pictorial Society of America. He is related to Larry through his mother’s uncle by marriage. We scanned in both the fronts and backs of each image and then reproduced them on our archival matte paper so that he could keep this reproduction set of images and donate the originals to a museum. We also saved all images to CD for him. Now each of Larry’s children will be able to print their own sets of reproductions as they would like. 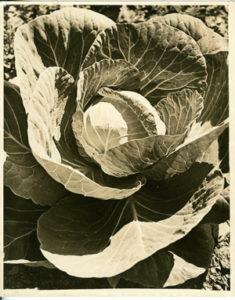 His images included both this cabbage in Nebraska and this canal in Venice. Several artists have been bringing in their artwork. We’ve recently received images of fish, elephant, aliens, white noise and Humphrey Bogart.We scanned each of them and either made reprints or gave them the digital files. The fish image has a particularly interesting story to go with it as well. 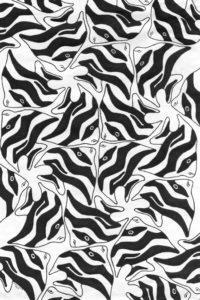 It was drawn some years ago by Mary Chosa at the age of 19. Six years later she passed away with severe rheumatoid arthritis. Several years ago the drawing was given to her special friend and our client Amanda. Amanda brought it in to be scanned and reprinted so that she can share it with Mary’s family these many years later. After their parent passed away nearby, two brothers from MN and NY brought in tubs of photo memories to digitize and share. We shipped back the originals and digital images on 3 hard drives to 3 addresses.We are passionate about helping you share family memories. Shirley’s photo of Indian chief relative was scanned in and reprinted. David collects images and memorabilia from Cripple Creek mines.We’ve scanned in several images and restored, resized and reprinted them. FYI he will pay for mine images and maps. We believe that everyone has a story to tell – no matter how seemingly insignificant it may seem. We believe that not just one person in a family should be the holder of the family memories. We believe that our lives and our memories are finite and priceless. 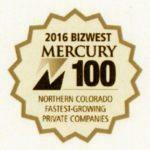 Leave A Legacy, Inc. was once again honored by being named one of the top 100 fastest growing companies in Northern Colorado for 2016. We owe it all to you our fabulous clients who value preserving their memories with digital creations.